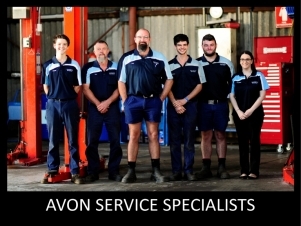 Avon Service Specialists is a locally owned and operated mechanical business based in the Wheatbelt town of Northam. We offer expert mechanical repairs and servicing to all makes and models of vehicles and it is all done in our fully equipped workshop, and carried out by qualified technicians. We are an Authorised Inspection Station for the Department of Transport and can offer you advice and support to get your vehicle to a road worthy standard, as well as doing the inspection for you. Through providing a quality service that incorporates a balance of professional workmanship and rapport building, we hope to achieve a customer satisfaction that encourages people to return to Avon Service Specialists. One of the members of our team will contact you shortly to help with your enquiry or to confirm your booking.